Not only is it the only IT job in a pool of doctors, surgeons, dentists, and anesthesiologists on US News and World Report’s list of the 10 Best Jobs of 2016; it also comes in at number 1 on their list of Best Technology Jobs, and Best STEM jobs. 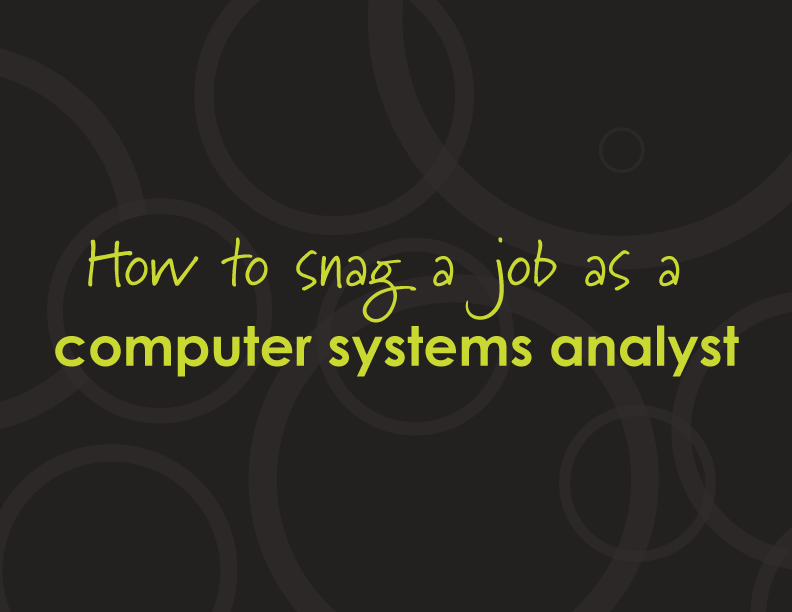 So, if you’re whip smart, but prefer to dissect computers over people, Computer Systems Analyst might be your calling. Take a look below as we take you through the various skills and experience needed to obtain a job as a Computer Systems Analyst. First, a Computer Systems Analyst will need a Bachelor’s Degree in information systems or computer science or some combination of equivalent schooling and experience in the IT field. Ideally, a CSA would have some experience in SAP, and one to two years of general experience working in an IT environment. Business acumen is an important skill of a CSA as they are tasked with deciding the need and cost/benefit of new or improved computer systems. In some cases, a Computer Systems Analyst will work as part of a Big Data team rounding out the modeling portion of the project or a Project Management team working up to PM role. The responsibilities vary, but here are a few typical responsibilities of a Computer Systems Analyst. Here are some common terms and skills that Computer Systems Analysts use on a daily basis. You should expect to be able to explain your experience with all or most of these in a Computer Systems Analyst job interview. Now that you know how to snag a job as a Computer Systems Analyst, click here for our current openings!